I used the oven at lunch today, and realized that’s a bad idea in 90 degree heat with probably 99% humidity! Dinner tonight will be cooked entirely on the grill in one nice and easy packet made of foil! 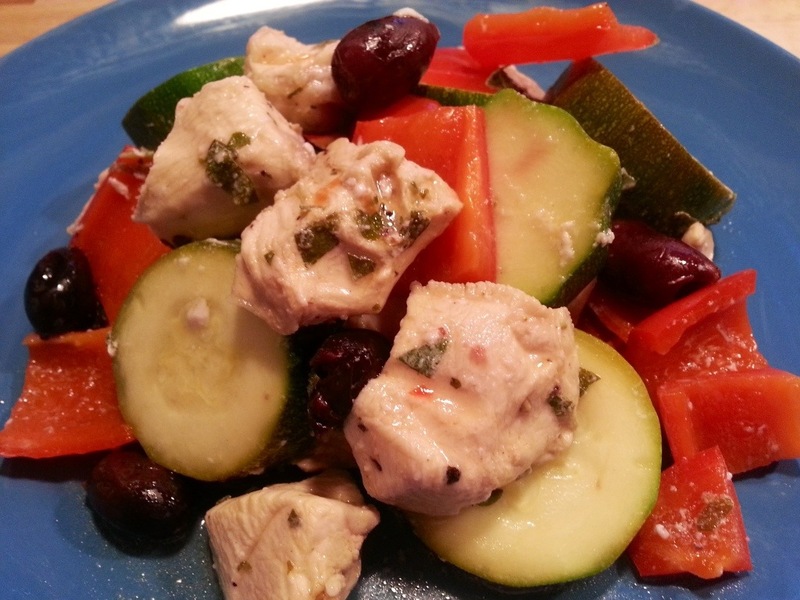 The oregano and kalamata olives will really bring out the rich Greek flavor! a. I finally get to use oregano for the garden! b. It can be be prepared ahead of time and thrown on the grill. Perfect, because I will be at our high school graduation ceremony. d. You can prepare this ahead of time for a camping trip and cook in the campfire. e. Greek food is scrumptious! 1. At least two hours ahead of cook time, mix together all ingredients in a large bowl. Scoop contents onto a large sheet of heavy duty aluminum foil, and make a packet put of it. It may be easier to split it into two packets. Make sure it is sealed so you don’t lose any goodness while cooking. Refrigerate to allow for marination. 2. When ready to cook, preheat grill to medium high heat. Cook packet for 15 minutes, then flip over and cook for 10 more. 3. Remove packets from grill and carefully open. The steam inside is VERY hot! Scoop contents onto plates and enjoy! Having a garden rocks! I can always manage to whip up a meal with what we have in the freezer and pantry, but it is rare to have fresh produce at your fingertips! This meal was so simple to prepare and absolutely scrumptious! All it took was defrosting some chicken and sending my fiancé out to our garden to pick some fresher than fresh sugar snap peas! Yum! 1. In a wok or large skillet, heat hot chili sesame oil over high heat. Add chicken and garlic and cook until chicken is opaque while stirring frequently. 2. Add water chestnuts, sugar snap peas, ginger, ponzu sauce, and red pepper flakes. Stir frequently while cooking for an additional 5 minutes. Do not over cook! You want crunchy sugar snap peas! 3. 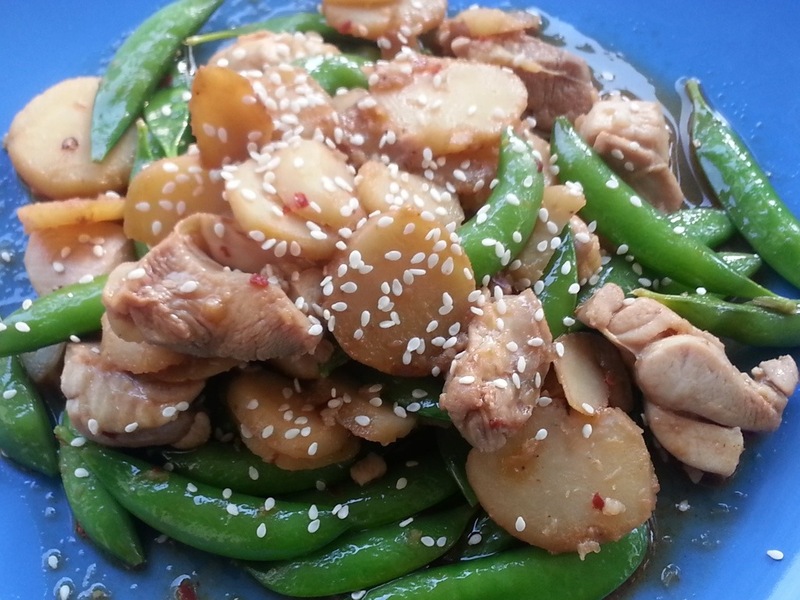 Plate, sprinkle with sesame seeds, and enjoy! Having a garden outside my door has been an exciting new adventure for me! My morning started off by walking outside to assess what needs to be eaten. I picked our first round of broccoli already, and it is time to pick the secondary shoots. The herbs are finally ready to use as well. I couldn’t think of any way to possibly combine broccoli and basil and then it hit me over the head. Thai basil stir fry, duh! 1. In a wok or large frying pan, heat the olive oil over medium high heat. Add garlic and chicken, and cook while stirring frequently until the chicken is opaque. 2. Add chiles, fish sauce, wine, and cook until the peppers soften (about 2 minutes). 3. Add the broccoli and corn and cook until the broccoli is cooked to your liking (5 minutes for as light crunch). 4. Stir in basil and allow to wilt. 5. Serve as you please. If paleo isn’t your thing, serve over a bed of jasmine rice and sprinkle with cashews. I will be enjoying mine in a big bowl as is! 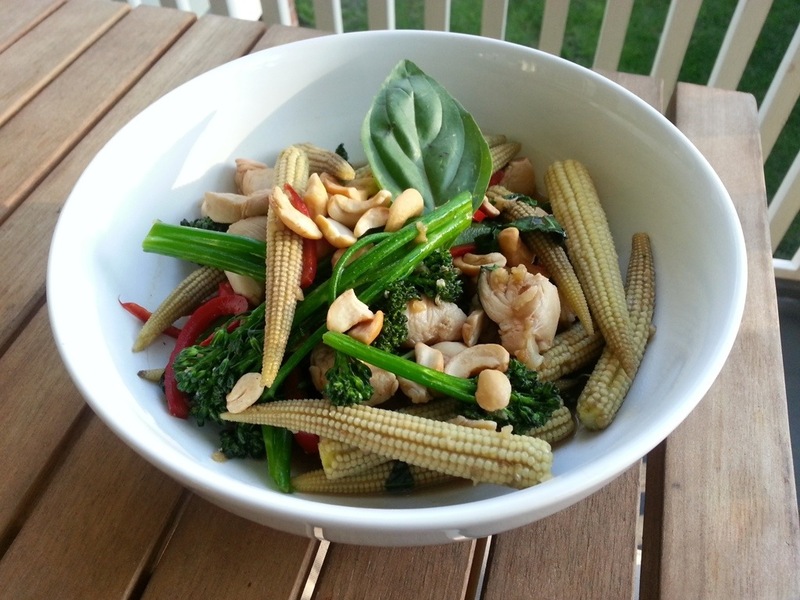 Posted in Food	Tagged basil, chicken, Paleo, stir fry, Thai, who doesn't love mini corn? 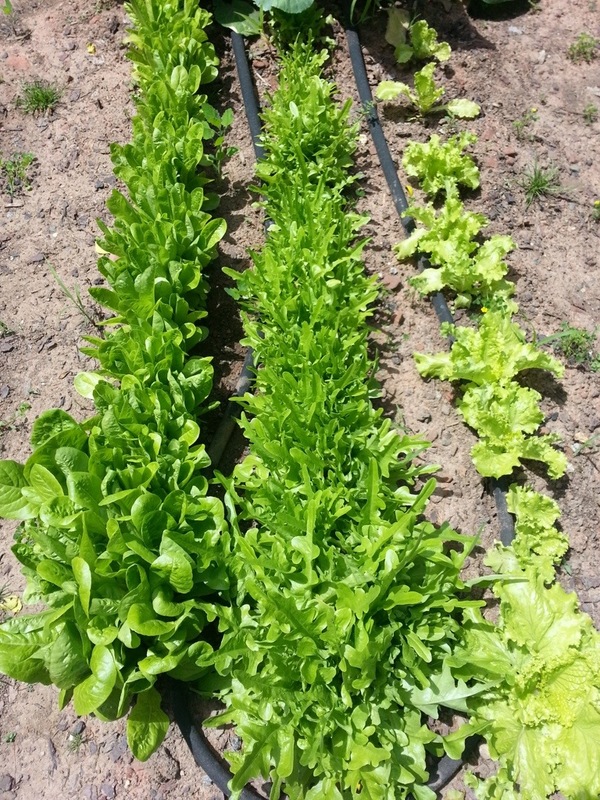 Our garden is growing so fast! I have a feeling that it is going to get to the point where we can’t eat the veggies fast enough! Our lettuce has been thriving, so I developed this recipe for lettuce wraps… Except that our lettuce is still young and not big enough to make a wrap, so I modified it. I present to you, Aisan Chicken Lettuce Wrap Salad – the less messy to eat version of lettuce wraps! 1. At least 3 hours prior to cooking, prepare the marinade by whisking together the teriyaki sauce, garlic, ginger, red pepper flakes, and orange juice. 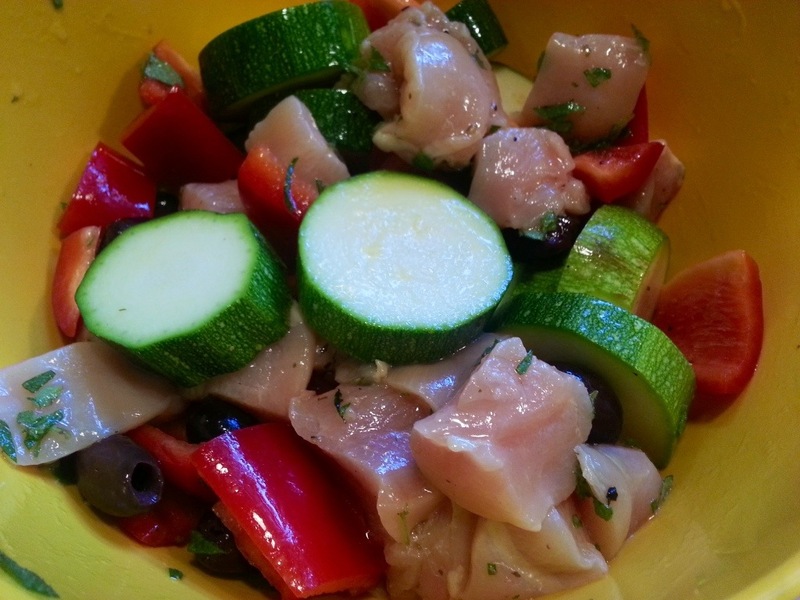 Place the diced chicken in a ziplock bag and pour the marinade over it. Seal an refrigerate until ready to cook. 2. Prepare two plates with a large bed of washed and chopped lettuce. Drizzle with olive oil and add salt and pepper to taste. Refrigerate to keep crisp until ready to serve. 3. Preheat a wok or large frying pan over high heat. 4. Pour contents of ziplock bag into the hot pan. Toss for two minutes, and then add the peppers and carrots. 5. Allow to cook while stirring occasionally until chicken is cooked through and the veggies are tender – about 10 minutes. 6. 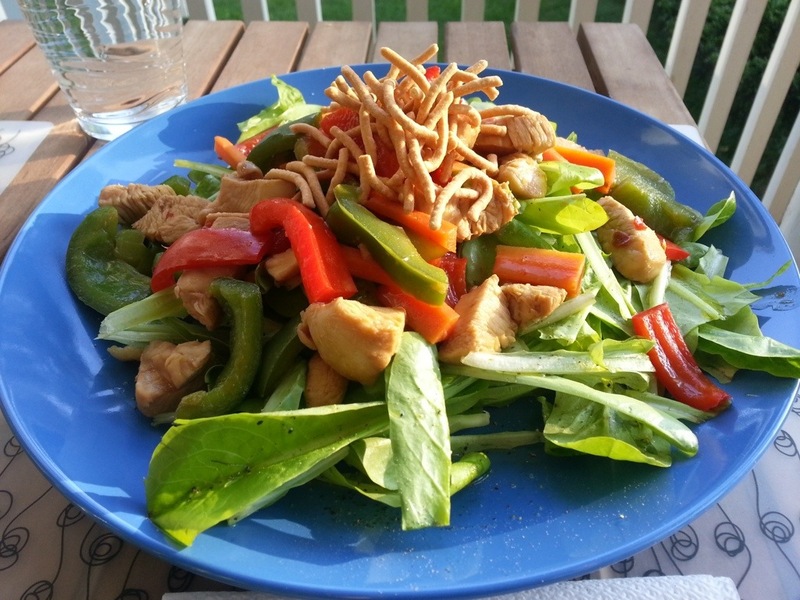 Scoop the chicken mixture over the beds of lettuce and sprinkle with chow mein noodles if you wish.